The 2018 edition of Villa d’Este Style. 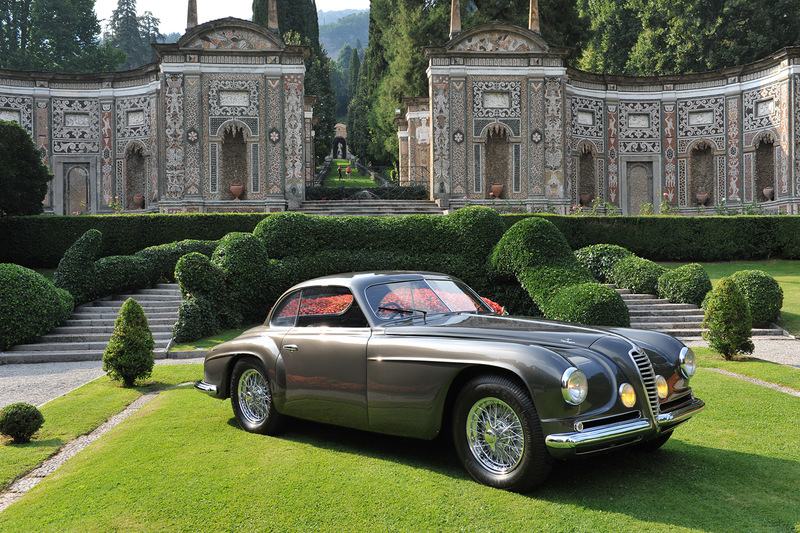 The 2018 edition of "Villa d'Este Style", the exclusive event dedicated to the surviving Alfa Romeo 6C 2500SS "Villa d'Este", collected five examples of this rare motorcar, a number in line with the previous years. Five cars represent around 30% of the known surviving units. If we consider that at least six cars are currently under restoration, the percentage exceeds 45%. But the success of our project is not measured with mere numbers, but with the quality of the cars and the enthusiasm of the owners. Some of the cars, like 915.884, 889 and 916, have come to every "Villa d'Este Style" edition since 2012, while 900 and 913 had their debut on the shores of Lake Como. One car, chassis N° 915.890, was unable to come being in a container on her way back from winning the "Best of Show" award at Kyoto Concours d'Elegance. Others have been sent even if their owners were unable to take part. We also had the pleasure of meeting a few owners -after years of correspondence- who came without their car, examining the other cars and finding the energy and will to push on with their restorations. This year's ‘lateral theme' was the stylistic heritage of the lines that Carlo Felice Bianchi Anderloni created for the "Villa d'Este", some of which can be seen on other automobiles. We had on show two very different examples: a Ferrari 166 Coupé -almost a mini "Villa d'Este- and an AC Cobra, which reminded us the fact that the first ACs of the '50 had a nose directly inspired by the Touring one. The International Architect and Designer, Carl Gustav Magnusson, gave us a brief speech on the theme. Once again, in the afternoon we moved to the square in the village of Cernobbio, where we met many an Alfa Romeo enthusiast and around thirty of their pre-1980 Alfas. Some of these motor cars were really in excellent condition and have contributed in creating a wonderful view.